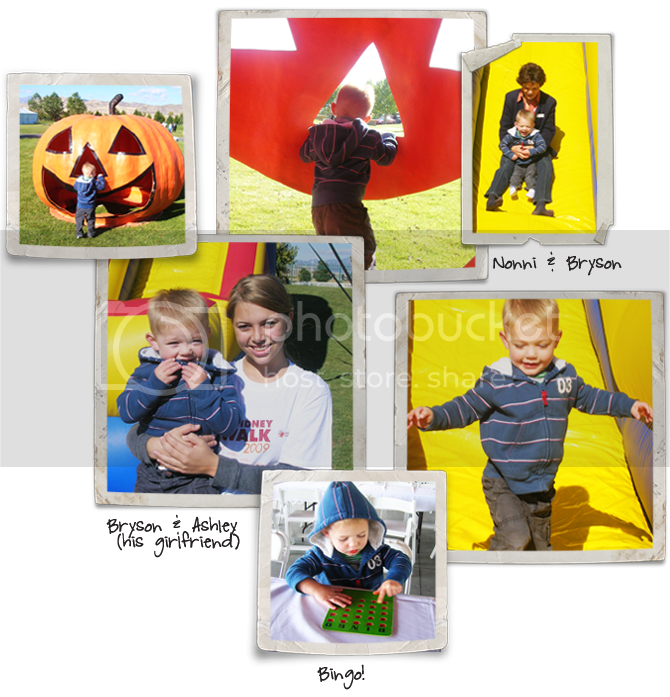 Bryson LOVED the bounce house and slide and flirted his heart out with a girl he met there named Ashley. She was so cute with him and he really took a liking to her! He followed her around everywhere and pretended to call her on his little play phone the rest of the day. I swear we are going to need to keep a serious eye on this kid in the future when it comes to "the ladies." I'm a little worried. Mike planned to join us there, but was helping someone in our ward move and ended up not being able to make it. I really enjoyed visiting with people and hearing about their different kidney stories. We had a great time.